It’s starting to become apparent that Vogue Mexico is stepping up its game with each new issue. Our forums used to complain about the lack of creativity and originality the magazine projected, but there have been signs of improvement over the past few months. Magazine covers can often be static and frigid, but Brazilian model Adriana Lima certainly shows just how it’s done on the July 2015 cover, modeling a dramatic fringed jacket by Balmain as she works the lens for Russell James. So, it’s unfortunate that the majority of our forum members weren’t feeling it. “There’s so much going on! I don’t know where to look! Her face is barely recognizable. The fringe on that dress is too distracting. The hair/extensions are all over the place. How long is that hair for it to fly like that? Is she referencing Medusa? There’s no focal point in the cover and it’s sad,” ranted MON. 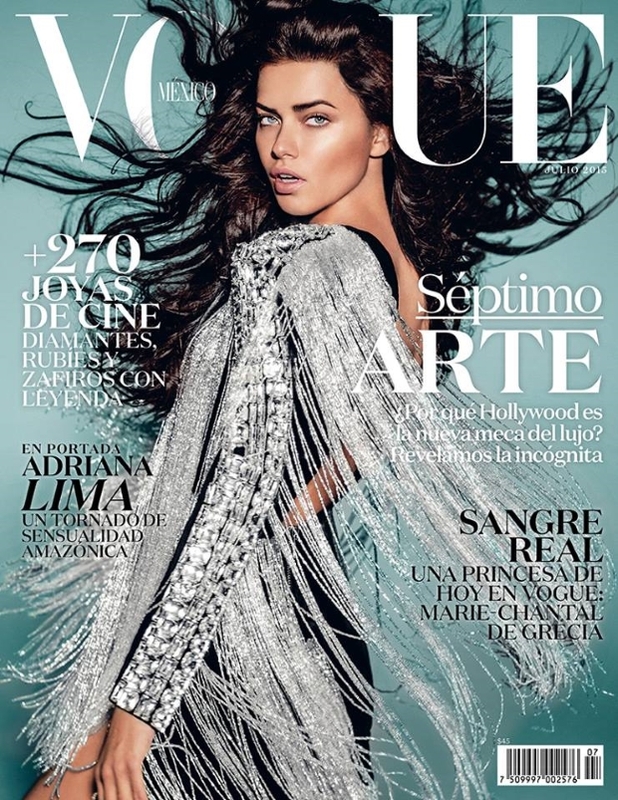 “Who the hell has taken over the typography for Vogue Mexico covers, it looks terrible. I feel like Vogue Mexico is starting to look more and more like Vogue Brazil,” slammed marsnoop2. “Given how often Russell James photographs Adriana for Victoria’s Secret, it’s kind of shocking that her face ended up so messed up on this cover,” added a surprisingly underwhelmed orchidee. Vogue Mexico took one step forward and four steps back with this one. Ouch! Share your opinion here.